Zumbo’s Just Desserts dropped by 251,000 viewers in its second outing, landing second in its timeslot with 830,000 viewers. It was beaten by The Block on 944,000 which also topped the Demos for Nine. With no Australian Survivor TEN was out of the battle altogether. Zumbo‘s lower numbers also saw 800 Words return with 877,000 viewers. It was a timeslot win but lower than any of its 2015 episodes which all rated over the magic million. Still, combined with Winners and Losers the network held more viewers longer than the rest. The Project, Catalyst and a Royals special were each the best performers for TEN, ABC and SBS respectively. Seven network won with 31.0% then Nine 27.6%, ABC 17.9%, TEN 16.1% and SBS 7.4%. 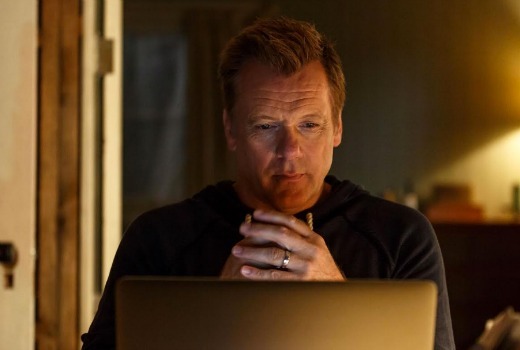 Seven News (1.14m / 1.13m) was #1 for Seven then 800 Words (877,000), Zumbo’s Just Desserts (830,000), Home and Away (826,000), The Chase (709,000 / 461,000) and Winners and Losers (514,000). Nine News (1.02m / 1.01m) led for Nine then The Block (944,000), A Current Affair (936,000), Hot Seat (556,000) and Movie: Quantum of Solace (502,000). Catalyst (735,000) was actually tops for ABC followed by ABC News (711,000), 7:30 (707,000), Forces of Nature with Brian Cox (685,000) and Foreign Correspondent (288,000). The Project (746,000 / 483,000) led for TEN. TEN Eyewitness News drew 528,000, Modern Family was 496,000, Life in Pieces was 379,000. NCIS was just 327,00 and NCIS: LA was 319,000. On SBS it was Royals Who Rescued the Monarchy (357,000), Insight (285,000), Dateline (211,000) and SBS World News (160,000). Best on multichannels was Peter Rabbit with 310,000. I’m not surprised that Zumbo lost viewers, it’s awful! There was little explanation of how the contestants had been selected (a Masterchef-style preliminary cook-off would’ve been useful), Rachel & Zumbo didn’t interact with anyone, Gigi tried to but came across as lecturing, & I just didn’t warm to the contestants. I felt that I knew too little about them to care about the result (although that’s probably the fault of the editing). Whoever had the idea that Rachel should welcome the contestants in the style of a disapproving schoolmarm had clearly never seen any of her previous shows. It was so out of character. There was also a jaw-dropping bit when the contestants went to their stations & put the lights on, before exclaiming “Wow!” & “Oooh!” All they had done was literally flick a switch & illuminate a mixer. Watched the first ep of Zumbo and what it lacked was sound design. It was like having some one say “quick quick move fast” while playing a slow moving Enya song… The “Wonka” music has its place but i am afraid they need to look at Masterchef’s playbook for music. Yes I agree! I watched H&A after cooking dinner and then went straight onto 800 Words and then Winners & Losers. Excellent night of drama! Too bad there is only 3 weeks left of W&L. According to some sources, they are doing that with Survivor. Sorry to spoil there anti-Ten love in but Survivor and Zumbo are now in similar ratings territory, and in fact, Zumbo is at more risk or dropping further. Or even Ten in Pieces! Our household (2 adults) would be typical of the reason Zumbo dropped dramatically second night. Watched first night out of curiosity, but even my wife, an (MKR devotee) was underwhelmed. So Tuesday night we decided to timeshift Family Feud & A Current Affair to 7.30 and go live again for 800 Words. Worked a treat and will be doing that each week. I wonder how long it will take TV execs to realise the thinner they keeping stretching the ‘reality’ genre, the sooner they will kill it altogether. Dad asked me if new eps of NCIS had started yet and I had to tell him no. Made me wonder though if ten plans to fast track eps this time round because I know there will be some unhappy people if that doesn’t happen. The tv was barely on last night. Nothing to watch accept for winners and Chicago fire but they were on way too late. I watched Zumbo in fast-forward and I even fast-forwarded that. I’m not feeling the Zumbo Love. Without Ms Khoo’s Captain Exposition role, I think the show would fail. It seems to me they took the MasterChef template and then just thought of different names for the parts of the show. I really wanted to like this, but I’m not watching any more, in spite of the marvellous desserts. TEN should have premiered Survivor at 7pm. They had a 1hr Family Feud ep they could have played from 6pm. Run Sun/Mon/Tues with The Bachelor Wed/Th. Found myself watching ABC from 8pm last night. Unusual but nothing elsewhere to excite me. With Zumbo thinking I can cook therefore I must be a TV celebrity chef it doesn’t surprise me that the figures have dropped. I doubt they will reach the million again. Without the idiots, bogans and gnomes this year The Block should do well and surely that building site is a challenge worth watching. Looking forward to The Durrells tonight. I can’t help but wonder whether Australian Survivor would be better off on Monday & Tuesday nights at 7:30? That obviously leaves a big hole on their Sunday night but then it’s not up against the Block reveal episodes (often the highest rating eps) and it gives them a strong Monday-Thursday primetime line up. Agree, but they would to need to do it immediately. If it is after this week it would appear they have lost faith in it. Eiher way I’m watching it. It’s great TV. Ten need to fix Tuesday nights – repeats all night (with the exception of Life in Pieces which is not setting the world on fire) does not cut it. Perhaps they just hold out till mid Sept and fastrack new eps of Modern Family, NCIS and NCIS NO. Then I think Life in Pieces will do better – it deserves to.